I love to read and will read anything, if a book that I want to read is available. I would even read a Chilton car manual, which are kind of interesting. I also have a terrible addiction to magazines but have mostly broken that habit. As the subscriptions expire I will probably only continue to receive The New Yorker (maybe), Bookmarks and maybe Edge. I don’t have time to read them, they aren’t environmentally sound (although I do pass my issues along) and I can get a lot of the same information online. But, I will not give up my subscription to Bookmarks and I highly recommend it to anyone who loves to read. This is because it provides outstanding review information and they have awesome customer service. Bookmarks compiles book reviews from major newspapers and magazines. Every other month they rate the books and provide reviews of the best of the best. It also contains author interviews, a book club profile, and a special section such as Science Fiction or the Civil War. Because of Bookmarks my reading list is even longer than it used to be and I will never read all the books that I want to. Recently a couple of pieces of mail have gone astray. I suppose it could be the mail carrier but I’ve lived here for 7 years and haven’t had a problem. And I know things can happen. One time I ordered some back issues of a Tori Amos fan magazine and realized that a long time had gone by and I hadn’t received them. For some reason, which is unlike me, I didn’t follow up on it. Months later I received the charred remains sealed in plastic with a note from the post office telling me that the mail truck that my stuff had been on had caught fire and this is what was left. Seriously, the post office delivered charred scraps of paper. I’ve had an invoice from our health insurance not arrive, missed a couple issues of The New Yorker and realized that I had not received Bookmarks since the end of last year. Since it is every other month, it isn’t as noticeable when it is missing. And then there is Bookmarks. Not only do I love the magazine but the editor Jon Phillips is the greatest. Now, I had an issue go missing way back (well a couple of years ago) when I first subscribed and I contacted them via the contact information on the website. And the editor, Jon Phillips, is the one who replied. He was apologetic, said he would send me the missing issue, and it arrived in a couple of days. Since I still had Jon’s email address, I emailed him directly this time. I wasn’t sure what would happen – I was still a little gun-shy from my New Yorker experience and I felt bad because this was the 2nd time I was complaining about missing issues. Jon replied within a couple of hours, was apologetic, annoyed with the post office and genuinely appreciative of my love of the magazine. He also told me that you can request the post office put a watch on certain items in your mail, which I did not know. And even though the problem could have been on my end he located the two missing issues from his stash, mailed them to me and they arrived in a couple of days. Awesome! So, if you love to read or know someone who does, subscribe to Bookmarks. It’s a great compilation of the best book reviews and it has an editor who obviously loves his job and his customers. I am in no way affiliated with Bookmarks and was not paid to write this article nor was I asked to. But the experience made me think about customer service. And I thought it would be good way to pay back Jon Philips and Bookmarks by maybe sending some new subscribers his way. Hi Stratos – That’s great about Big Fish! I haven’t had to deal with their customer service so far. One thing I like is that they keep track of all my games and I can download them over and over without any hassles. And simple things like are likely to keep someone a loyal customer. I didn’t realize the magazine could only be shipped to the US. I should make note of that in the article. It really is a great feeling when you get done with customer service and you feel like your problem was fixed. Conversely, its really annoying if they are bumbling fools. Jon sounds like an awesome guy. Any editor that would personally respond to a customer like that is cool in my book. Its nice of you to voice your appreciation. Hi Jim – You can laugh. I laughed even when it happened. But it wasn’t a box – it was charred remains of paper in a big ziploc type bag with a note from the post office telling me what had happened. Good customer service is hard to come by these days. I think many times the corporations are so large, that no one employee really feels motivated to go the extra mile. I had a billing problem with AT&T that took 6 months to resolve. Of course, part of that is on my end for not escalating but I’m also wondering why on earth after I called on say month 3 they didn’t take the initiative and escalate it themselves. They probably aren’t empowered to do so and get reprimanded for involving a supervisor. That’s BS, right there. Hi Tracy – And I’m sure many of these people aren’t paid enough to really care either. 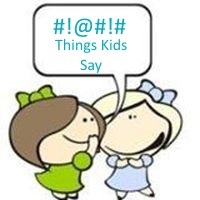 In my experience customer service departments are often treated like crap too. But still … I know that as an employee I care to do my job accurately and wish others felt the same way. I often wonder how anything gets done. And we’ll see if I actually get a health insurance invoice this month. It’s great that you’re taking the time to acknowledge good customer service. Most people just complain about bad customer service. Hi Vered – Well, I did complain about the New Yorker and my health insurance as a contrast ;-) I just really like this magazine. It is rare to find good customer service these days. Luckily, my web host offers amazing customer service. Anytime i have a problem, i directly mail a owner and get a reply within minutes. I remember in the beginning, i used to mail him a lot asking about wordpress, plugins etc and he was always supportive. Hi Madhur – That’s awesome! My host responds quickly but there answers are often cryptic. Recently I asked how to change payment to yearly and payment type to paypal. They wrote back saying they had made those changes. Umm … I didn’t ask you to change it, I asked how I would go about changing it. I need to change hosts but have been really lazy about it. Very nice of you to acknowledge good customer service like this. And very nice of the post office to do what they did too, I guess someone might have salvaged something. Magazine addiction! oh yea back when I used to work in a newsagents used to end up buying Custom pc, Pc Gamer, Edge, Marketing Weekly, Business weekly, Edge, and Stuff magazine…easily 40-50£ a month, add in the fact there was a book store next door…I used to spend on average £100 a month on ‘reading’. The I started Uni and one textbook cost ..£100! so gave it all up!! Hi Donace – That’s a good point. I’ve consistently received poor service from the health insurance company. I’ve also worked in tech support, similar to customer service, so I know how it is. I love Edge! But it’s so expensive to be a US subscriber – cheaper than the newsstand price though. It’s the best gaming magazine – in my opinion. 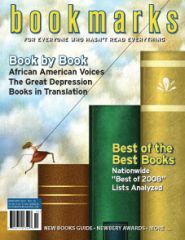 As a book lover, I am very interested in Bookmarks magazine and will seriously consider subscribing. Good customer service is good advertising! I have a tale of woeful customer service that has affected our credit record for over 10 years. We leased a vehicle from Nissan, but never got a payment booklet. I had the money for the payments on the contract, but couldn’t find out who to pay it to! I called the local dealer, wrote letters to Nissan — all with no result. Finally, they sent a certified letter — with a payment booklet — saying we owed 6 months worth of payments, that they would send it to a collection agency if not paid immediately, would repossess the vehicle, etc. And they reported it to the credit agencies as if we were simply negligent! No amount of further letter writing, copies of my letters to the dealer and to Nissan, etc were to any avail. That blot still stays on our credit record! Needless to say, we wouldn’t consider a Nissan now if it were the only car in the world. Mike – That is one of the worst customer service stories I’ve ever heard. You’re nagging them for an address, they don’t respond, and then non-payment goes on your credit report. Unbelievable. customer service is not what it used to be but that was great jon responded and sent you your missing issue. i love to read too, in fact, i just downloaded a book from the NYPL and I don’t even live in NY, but I have 3 library cards. Hi – Jon has come through twice – maybe the difference is big vs. small companies. Books are like an addiction – I reserve them from the library, take them home, and return them when I can’t renew them anymore ;-) I then reserve them again and start the process over again.